They might be forgiven for being deflated. 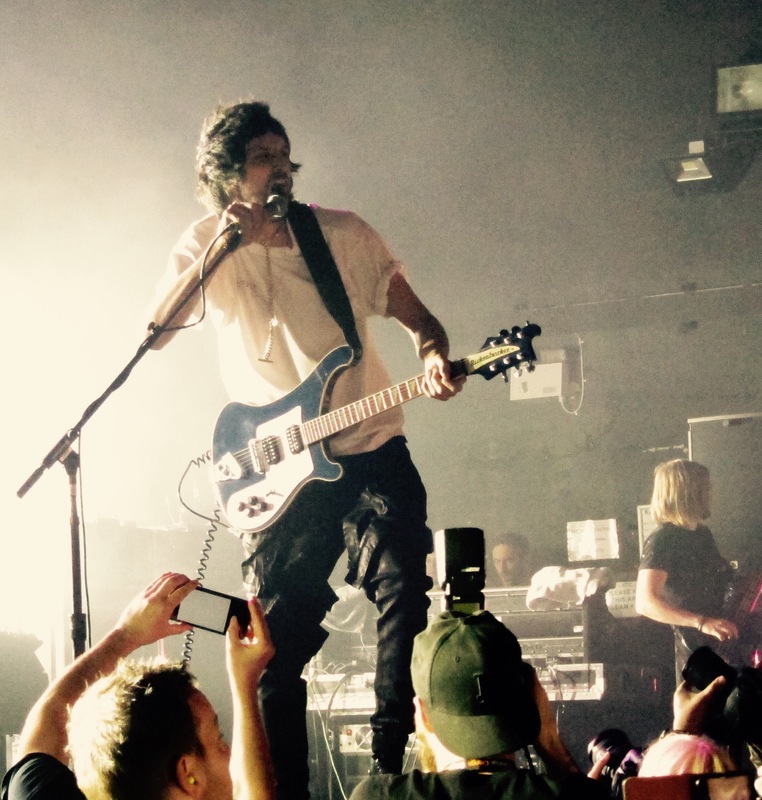 But the energy from a large crowd in a small venue leads Pizzorno to say by the end, “that’s the best Tuesday night I’ve ever had”. 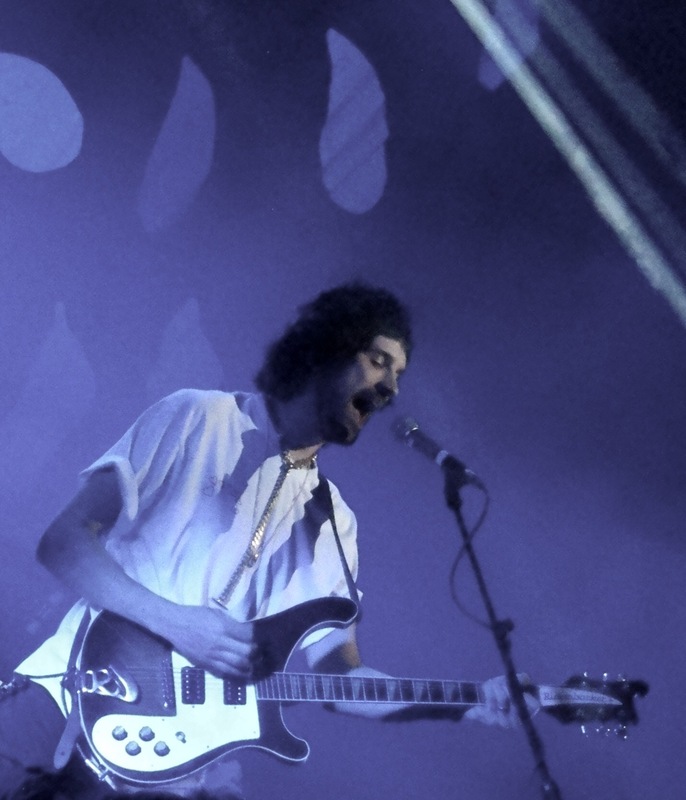 Leicester-based cross between Primal Scream and The Mighty Boosh. 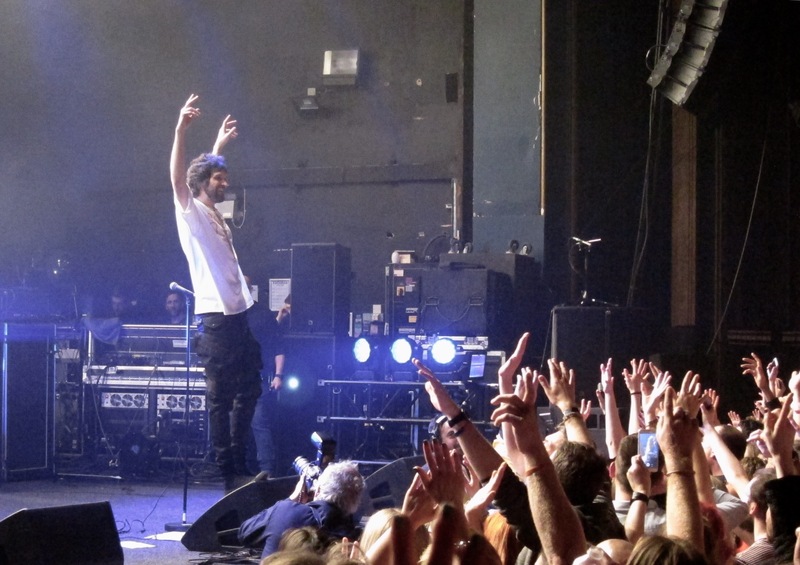 Kasabian means “son of a butcher” in Armenian and was the surname of Linda, a getaway driver in Charles Manson’s band of merry murderers, becoming one of a long line of murderer-related band names including Lizzie Borden, Marilyn Manson and Go West. 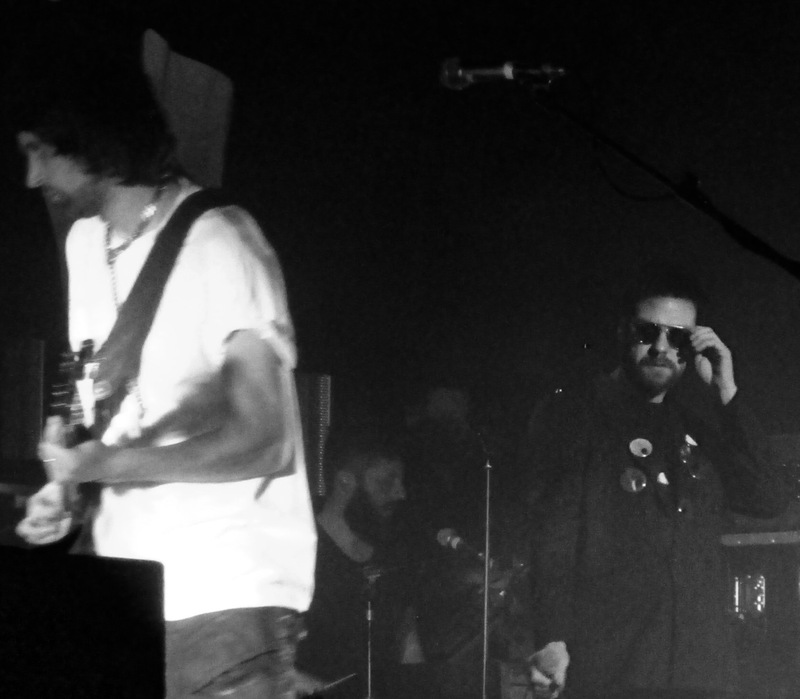 Based around rock’s most dynamic duo since the Gallagher brothers: lead singer and Danny Dyer lookalike Tom Meighan and lead guitarist and Noel Fielding lookalike Serge Pizzorno. 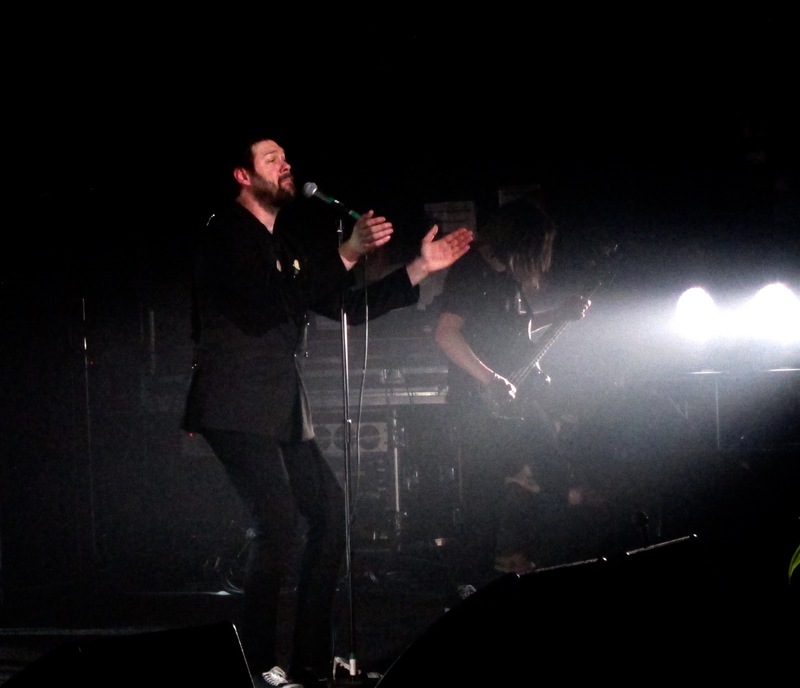 Band formed after Pizzorno found Meighan singing in public. 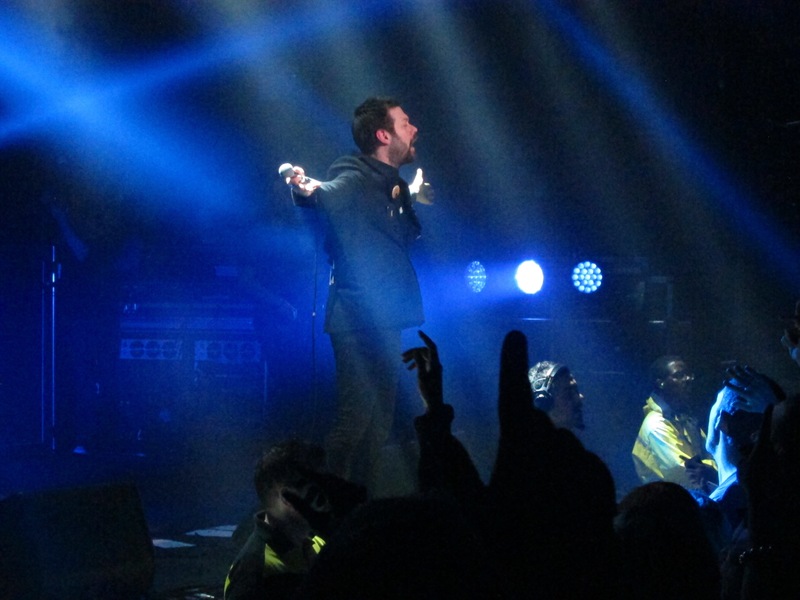 Meighan wasn’t busking, he was just hammered on alcopops and marijuana, singing in the park. It’s not an overly romantic picture, and slightly trampy but hey, it worked. Meighan abandoned his job as a sheet metal worker and the rest is history. Brilliantly, the band was initially named Saracuse, which was supposed to be Syracuse, after a town where The Beatles once played, but the band misspelled it. An early sense of mischief was revealed when they sparred with notorious indie-pop hard-men Keane just after lead singer Tom Chaplin had entered rehab. Pizzorno’s claim that Chaplin’s vice wasn’t cocaine but port made everyone chortle, save for for the lovely lads in Keane. 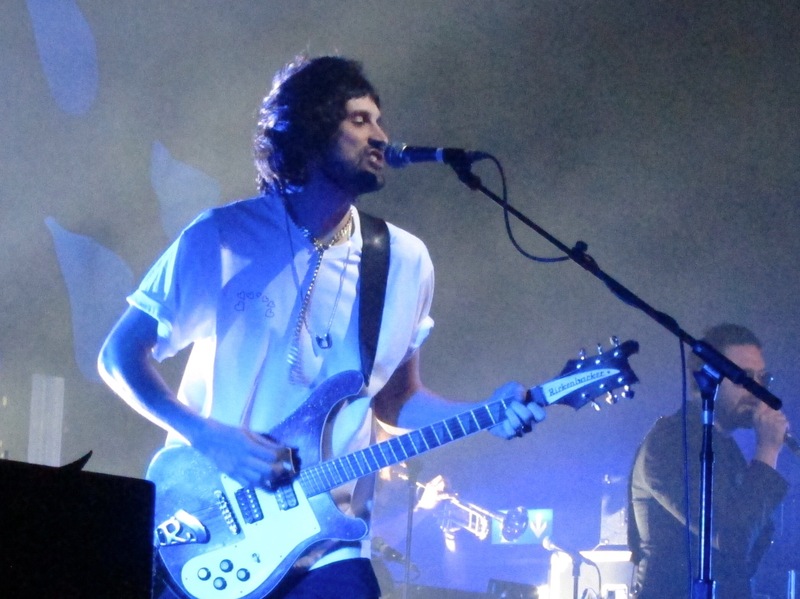 Kasabian sold a million copies of their debut LP and their rise to prominence culminated in 2014 when they headlined Glastonbury, inviting onstage Serge Pizzorno lookalike, the Mighty-Booshing Noel Fielding. 2017 will mark the 20th anniversary of the band, during which they will release their sixth album. Rather than play arenas and stadiums (as they have done and will doubtless continue to do) they are now playing a number of relatively small venues across the U.K. including Southend’s Cliff’s Pavilion and London’s Kentish Town Forum. So what was the gig like? Well, Meighan and Pizzorno may be more used to playing stadiums now, but it’s great to see them not just as dots on the horizon. 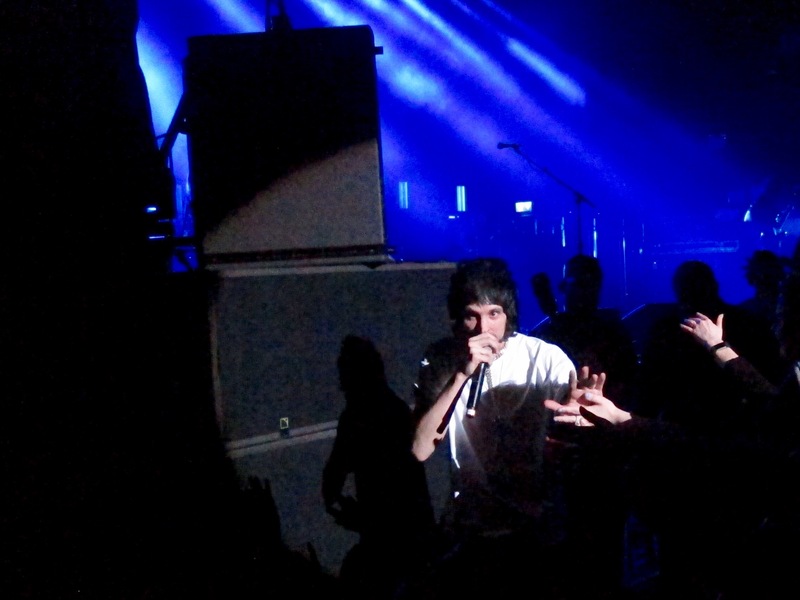 Sharing vocals and smiles, Kasabian didn’t get to headline status without knowing how to work a crowd. 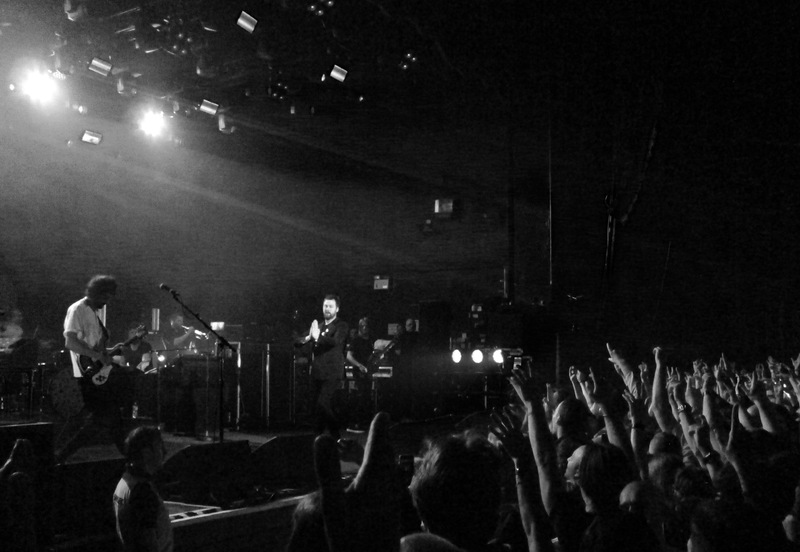 Meighan gets the audience singing along, beer is flung during the rowdier moments, Pizzorno goes for a walkabout through the crowd during one segment and they have the tunes. What’s encouraging six albums in to their career is hearing the new songs, including opener “Comeback Kid”, the aforementioned new single and early stand out “Bless This Acid House”. All slot in strongly and all sound like they’ll be on a Greatest Hits album before too long. 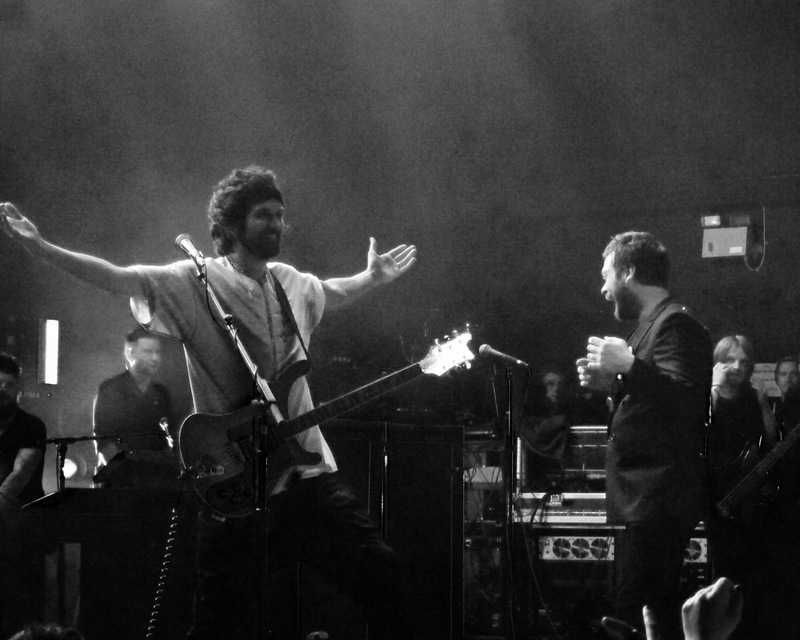 Kasabian has retained that crucial magic ingredient: enthusiasm. ‹ Should You Buy Nineties Vinyl? if ‘you fell in love with a phsyco’ doesn’t get to number one in the hit parade and stay there, i’ll eat my hat…it’s s stone cold classic of a single.. and a lot of fun too. I’ll be with you with a choice of hat after they announce chart positions later in the week! LSF is the best song ever, love it. listened to it ab out twenty times.